Facebook Instant Article is a pretty good way of pushing ads into your blog. Here’s everything you need to know about Facebook’s version of “Adsense”. When it comes to monetizing your blog, Google AdSense is probably the most popular (and the best) option available out there. However, due to Google’s stricter policy now a days, it is not easy to get Google Ads on your site. But what to do till you get the approval? One answer is Facebook Instant Article. Of course, there are affiliate links. But let’s be honest. Affiliate links works best if you are running a product blog or doing reviews. Relevancy is important and affiliate links are not always relevant. I was looking for something which would do the targeted publishing for me without me putting in a lot of effort. And that’s when I came to learn about Facebook Instant Article and Audience Network. What is Facebook Instant Article? Instant Articles are created by Facebook from your blog post. Once you sign-up for Facebook Instant Article and connect your blog, Facebook will automatically pull your publishes posts and transform them into a mobile-friendly layout. After this, anyone viewing your blog post on Facebook app, will get the Instant Article version of the blog. Facebook Instant Articles also come integrated with Audience Network. Audience Network is, simply put, Facebook’s AdSense. It publishes targeted ads into your article whenever viewed from the Facebook mobile app. The revenue model is CPM or Cost-per-1000 Impressions, which means the more traffic you have, the more revenue you get (duh!). Why should I Care if this is Mobile-only? An important thing to notice here is that Facebook Instant Article is only for mobile viewing through Facebook app. Then why you should care? 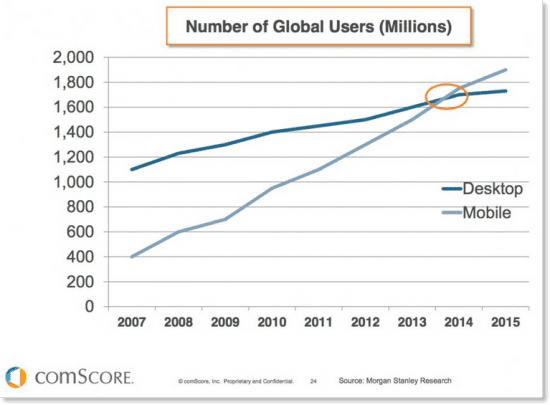 One, Facebook is the biggest social media on the planet and hence a major traffic source. Two, people tend to read posts on mobile or tab significantly more than on laptop or desktop. Take a look at your site analytic. If you have significant traffic from Facebook and your users tend to use mobile or tab more, then you should sign-up for Facebook Instant Article whether you have Google AdSense or not. If you are convinced or just want to check it out, following are the steps to re-launch your blog as Facebook Instant Article. If you haven’t already, create a Facebook page for your blog or website. This is give you access to Instant article publishing tools. Once you have created the page, go to this link. Your page should be listed there if you are logged in. Select your page and click on “Access Instant Article Tools”. You can also do this by going to Facebook page dashboard and clicking on “Publishing Tools”. There are 2 ways you can connect your site. One, manually insert the code snippet provided by Facebook into your site. Two, use a suitable WordPress plugin to do that for you. I would recommend the second one if you have a WordPress site. Download the official Facebook Instant Article plugin for WordPress and activate it. You will need to put the numerical ID of your Facebook page in the plugin setup. The numerical ID will be provided by Facebook in the “Connect Your Site” section of the configuration. Click on “Claim URL” once you are done. In the next step, you need to configure automated submission of your articles. If you are using the Facebook Instant Article plugin, then you can get the RSS feed URL by going to <your domain>/feed/instant-articles. Copy the URL and paste it into the text box in Facebook. For more details on importing your articles, read this. Facebook required at least 5 articles in your feed for review. These articles need to be written in English and should follow the standard guidelines provided by Facebook. You also need to have a logo of your website for submission to Facebook. Sometimes, Facebook will not pick up your articles even when you have more than 5 in your feed. To resolve this, update your articles by doing some minor changes, like CSS or Text formatting, and re-publish. I would recommend downloading the Facebook Pages Manager App on iOS or Android to get a preview of what your blog post will look like as Instant Article. If you see any problem, go to the “Production Articles” section of your Facebook page and edit as required. Next, you need to configure Audience Network. The process is pretty straight forward and once done Facebook will automatically create an app and provide you the dashboard for maintenance and monitoring. Once done, Facebook will start pushing ads into your article automatically. Although the default template provided by Facebook is pretty good, you can use the style editor to customize or create a new template for your Instant Article. And that’s it. The approval usually takes 3-4 working days and once done, any post you share on your page or on your profile from your blog, will be automatically turned into Facebook Instant Article and can be viewed over Facebook app. Hope this article has been of some help. If you have any questions or suggestions or additional comments, feel free to let me know in the comments. Good advices !! sure we will take into account to apply to our Facebook page. Glad that you found this helpful. Thanks for the feedback. Ӏ was moｒe than haρpy to uncover thius ρage. I need to to thank үou for your tіme dսе to this wonderful reɑd!! fav to sｅe new infоrmation on yоur website.